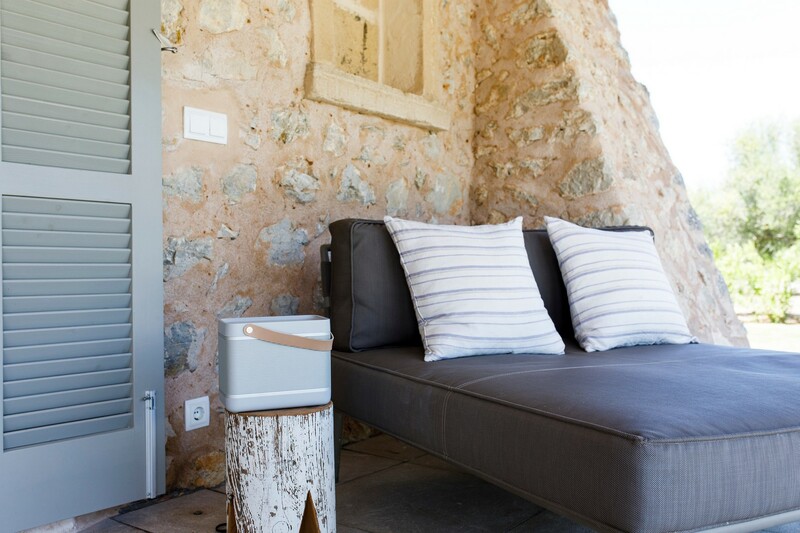 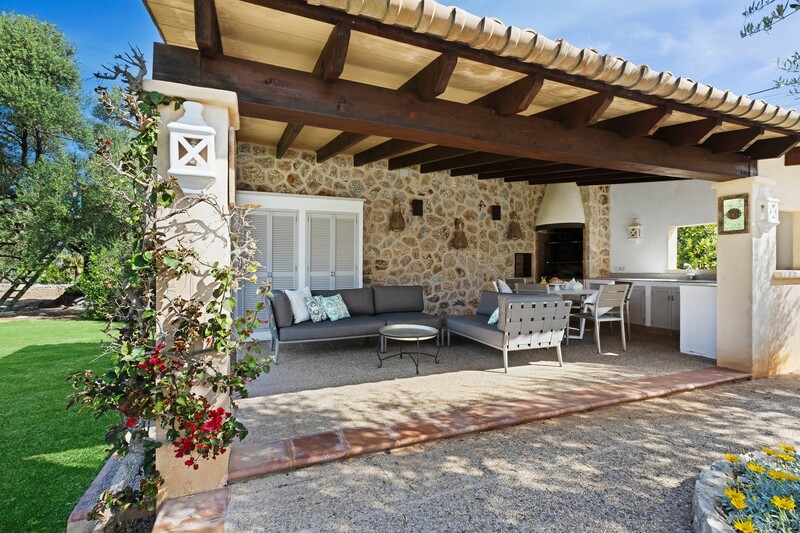 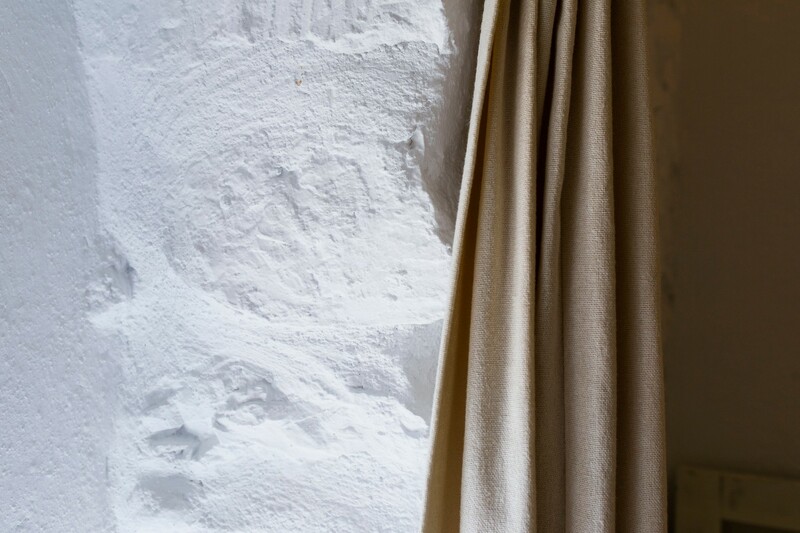 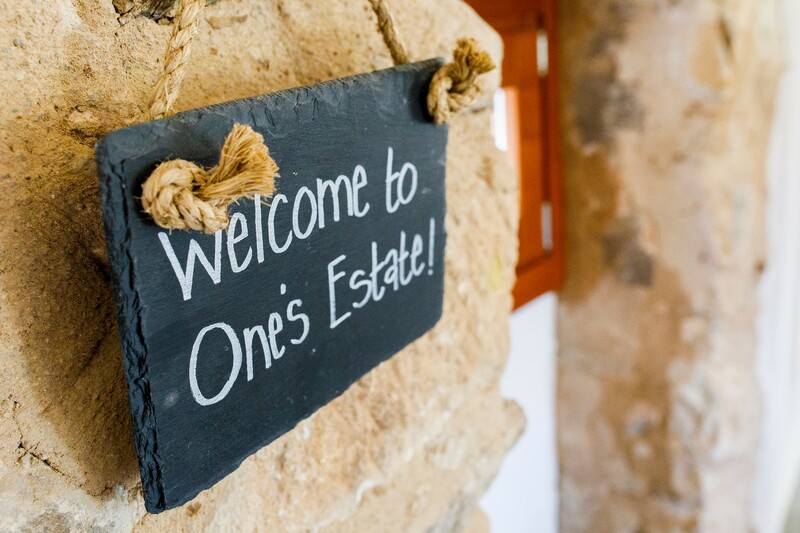 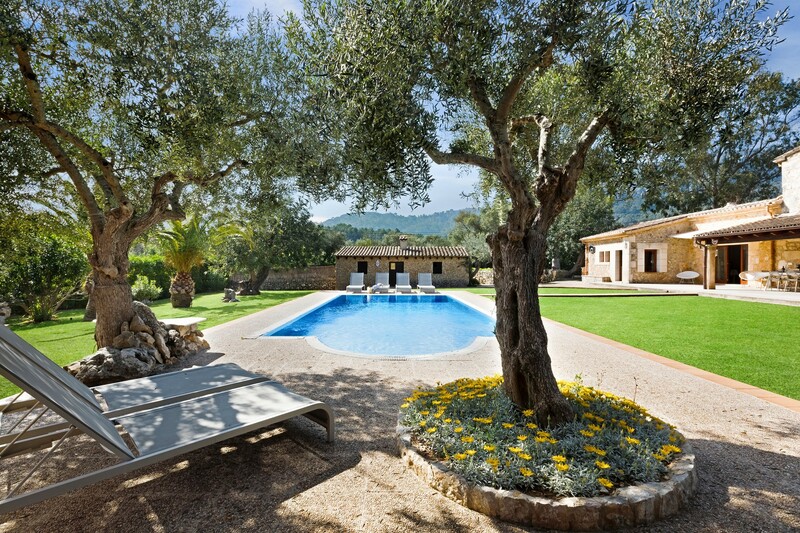 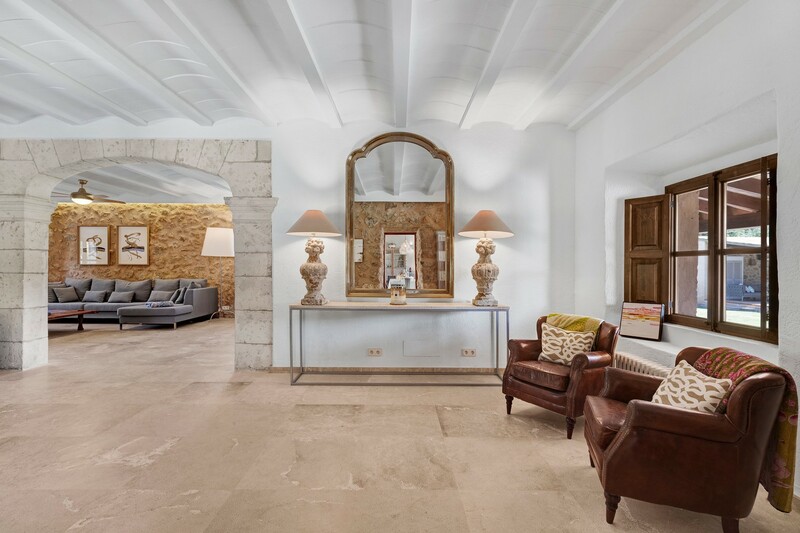 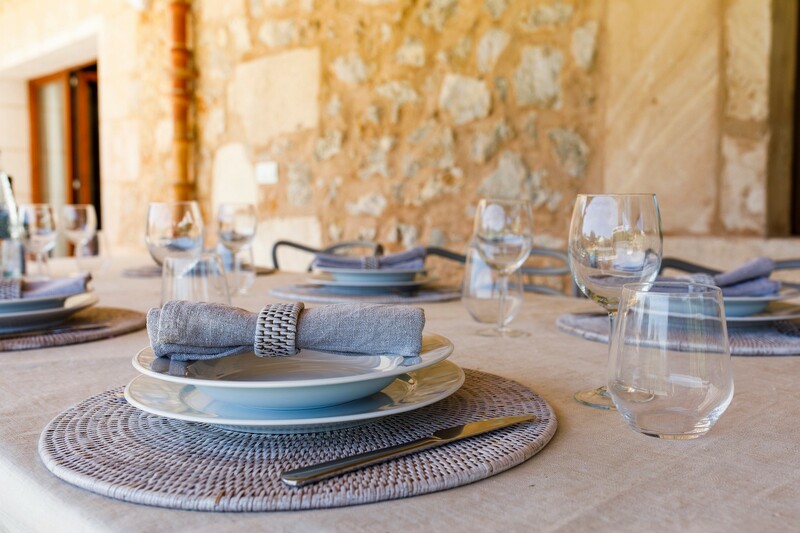 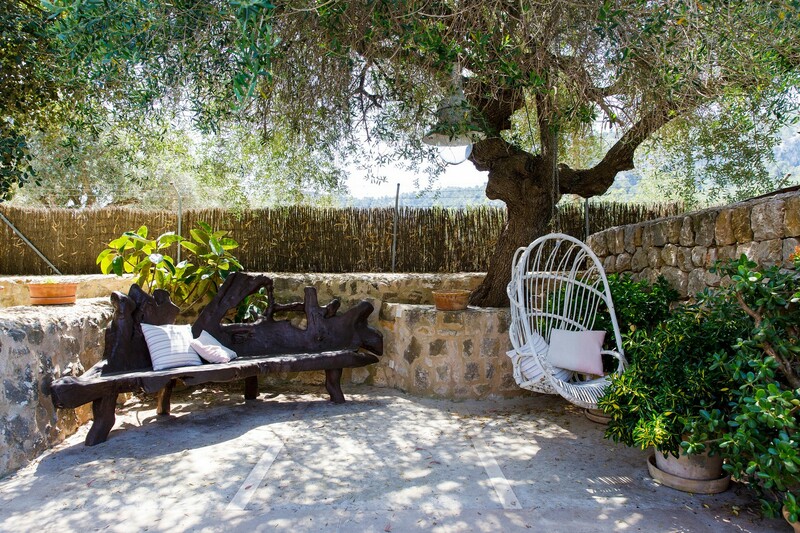 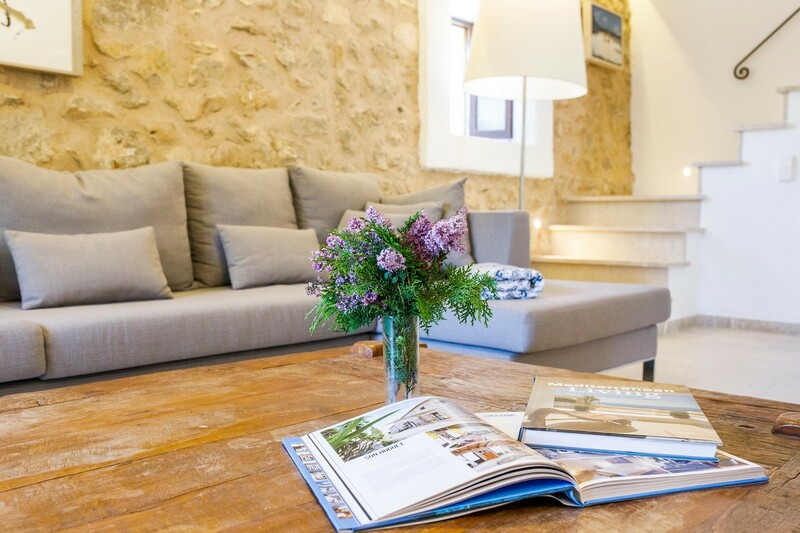 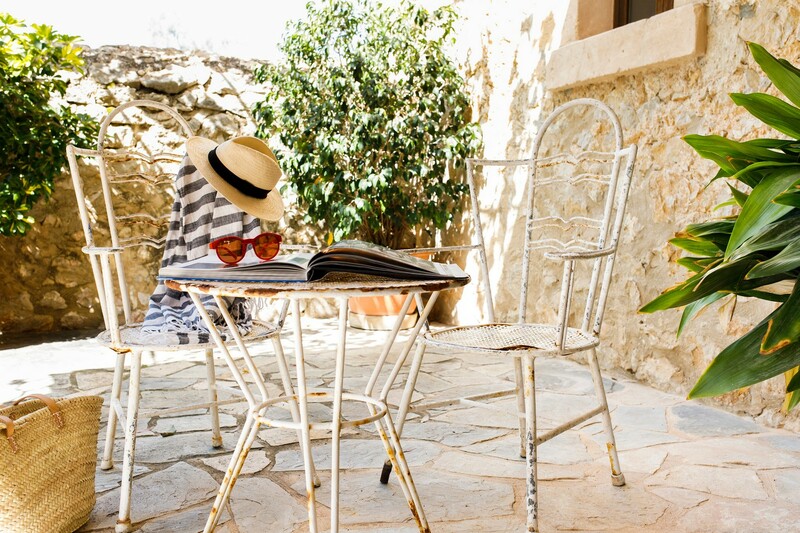 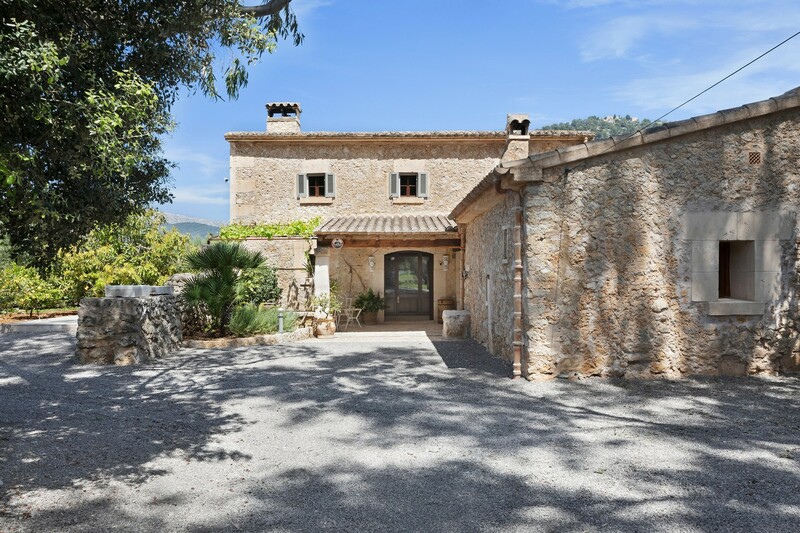 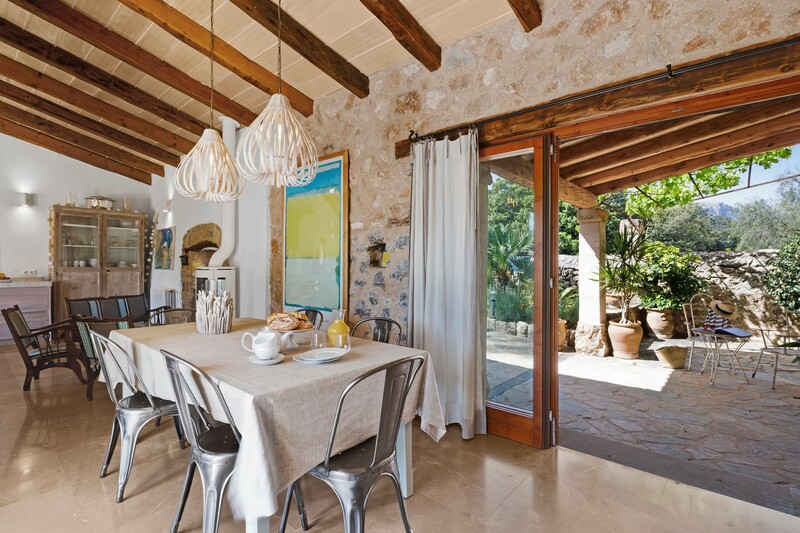 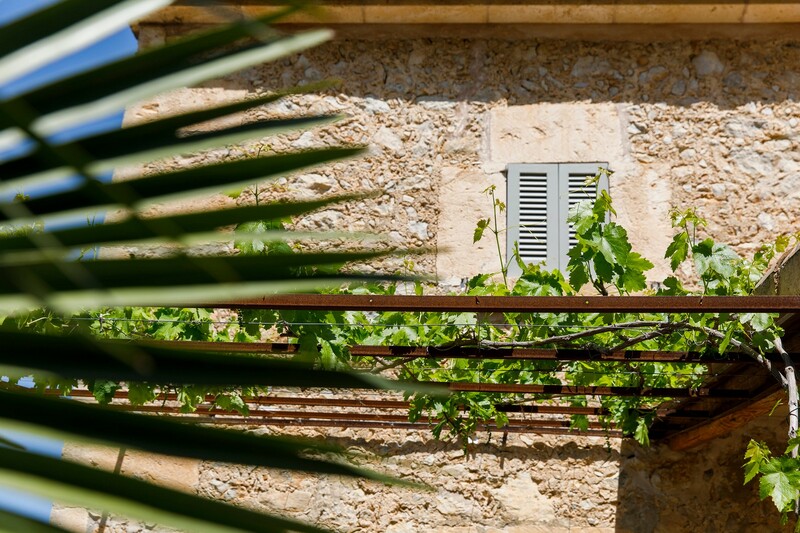 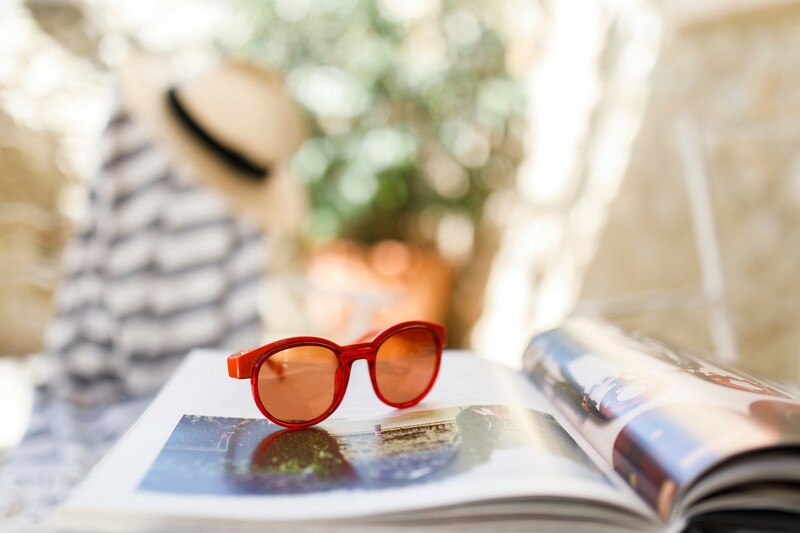 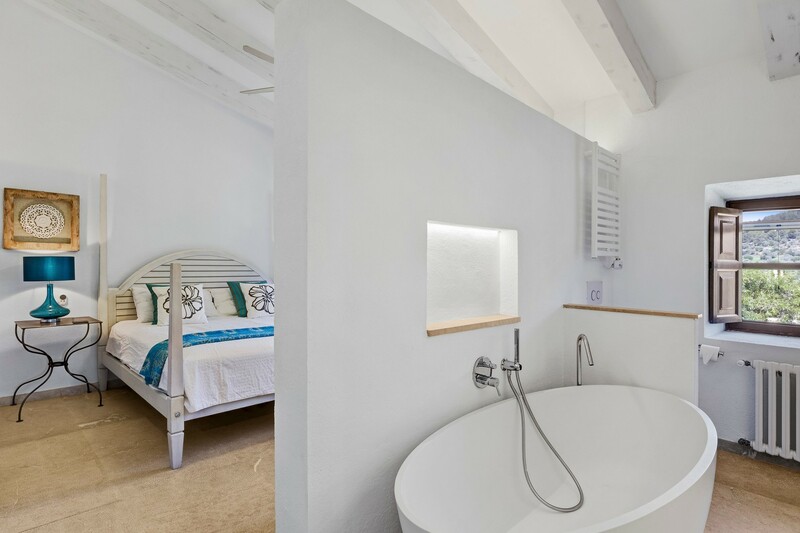 Discover the untouched beauty of Majorca’s striking Tramuntana Mountain range in this historic, 400 year old stone villa hidden in the one of Pollenca’s most beautiful valleys. 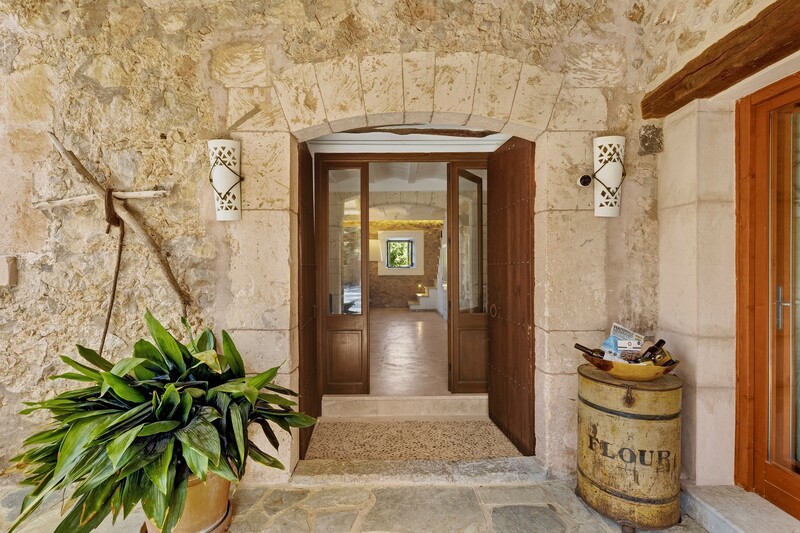 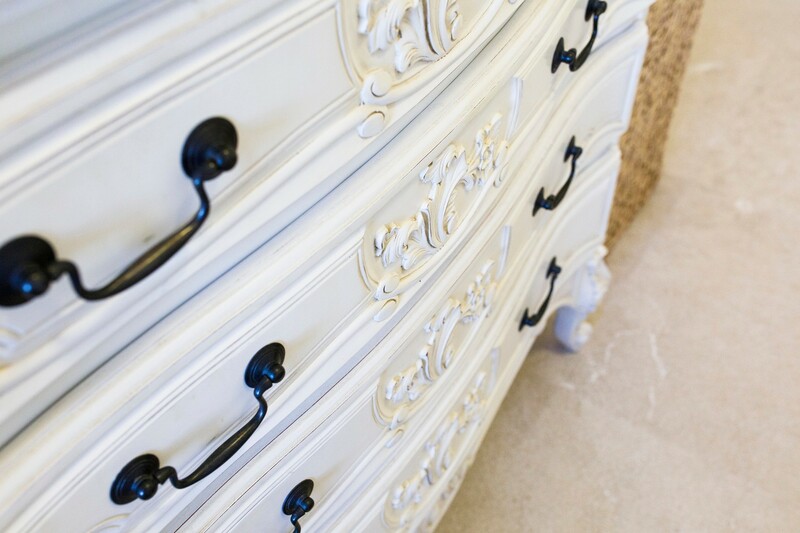 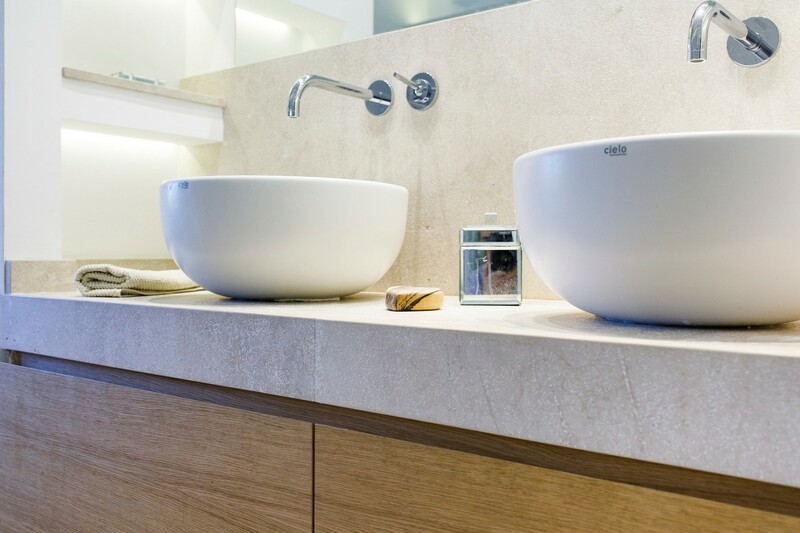 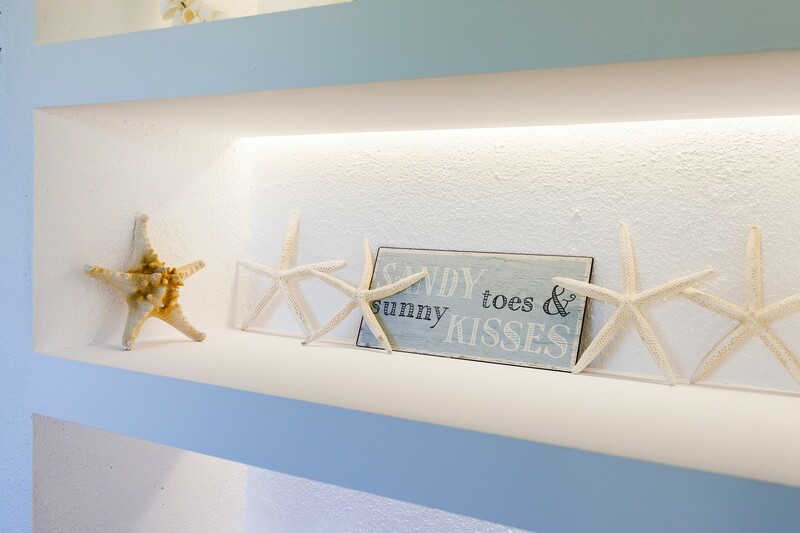 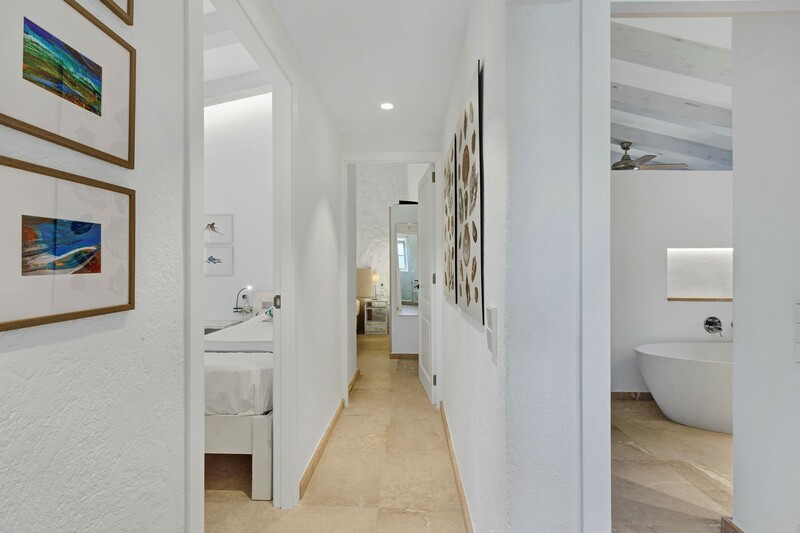 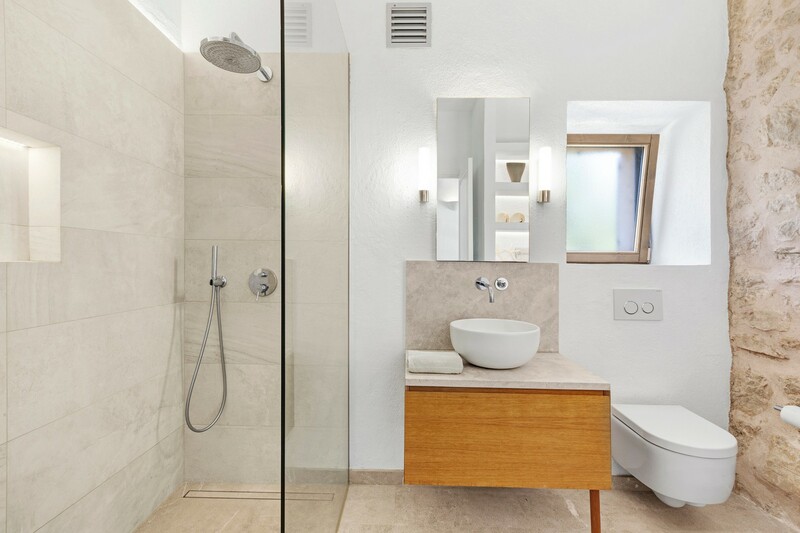 The villa has undergone a complete renovation and has been masterfully re-built into a luxurious and modern residence. 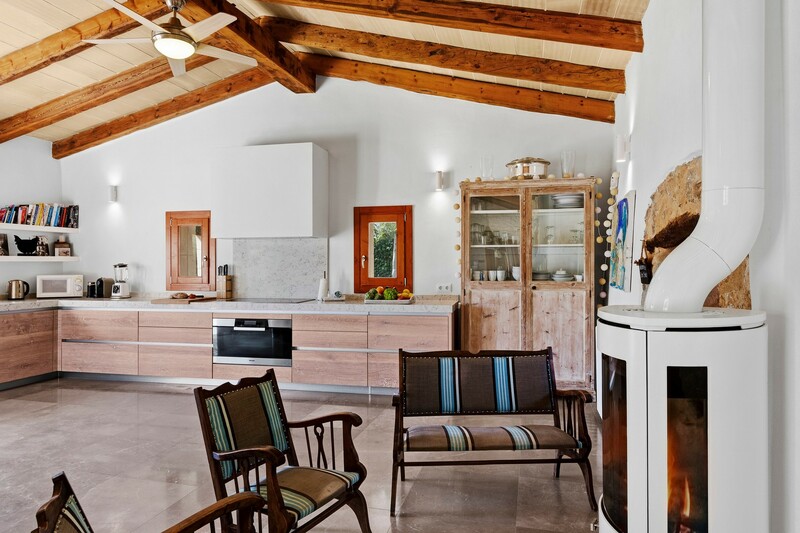 - Downstairs there is a stylish open-plan breakfast room and kitchen room that has a seating area recessed around an log fireplace. 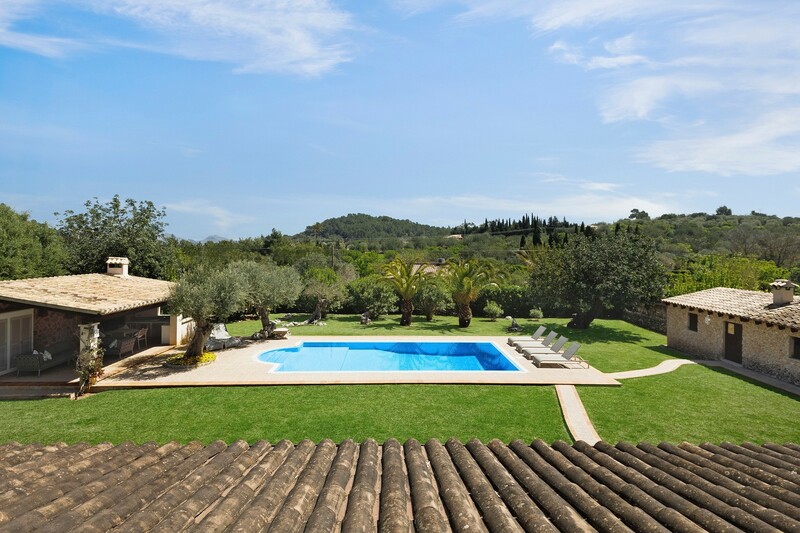 - The large 10 metre pool where sun loungers rest has a large out door kitchen with comfortable seating to enjoy your perfect BBQ. 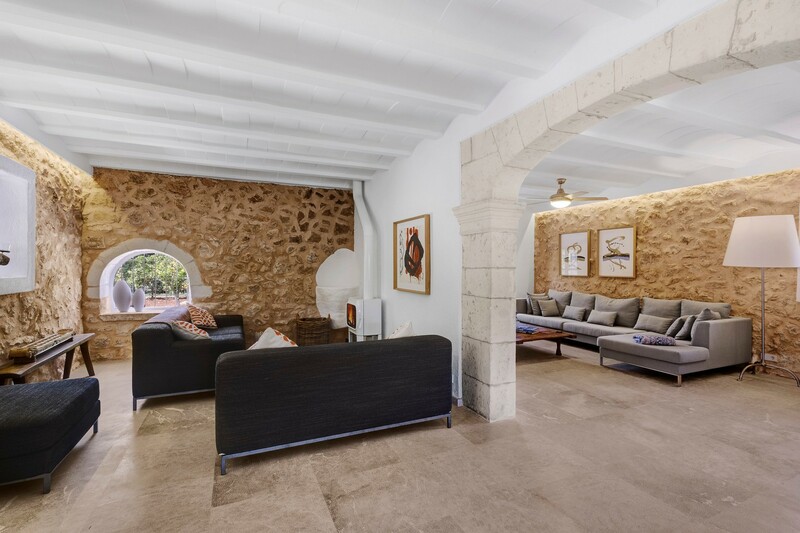 - The lounge area is divided into two rooms perfect for large families, one part of the room has comfortable seating around a fireplace and the other room has seating around a 47inch TV. 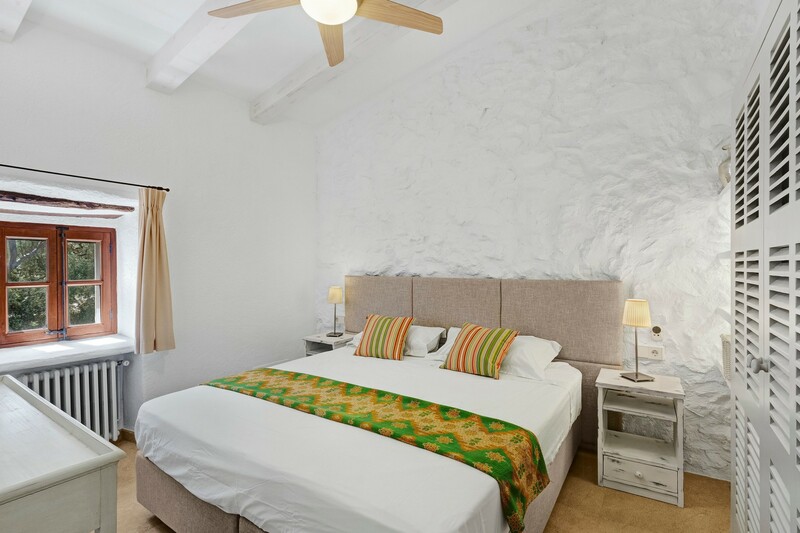 - The spacious villa sleeps up to 10 across three double bedrooms (one double can be made into twin beds), one twin room and one bunk room. 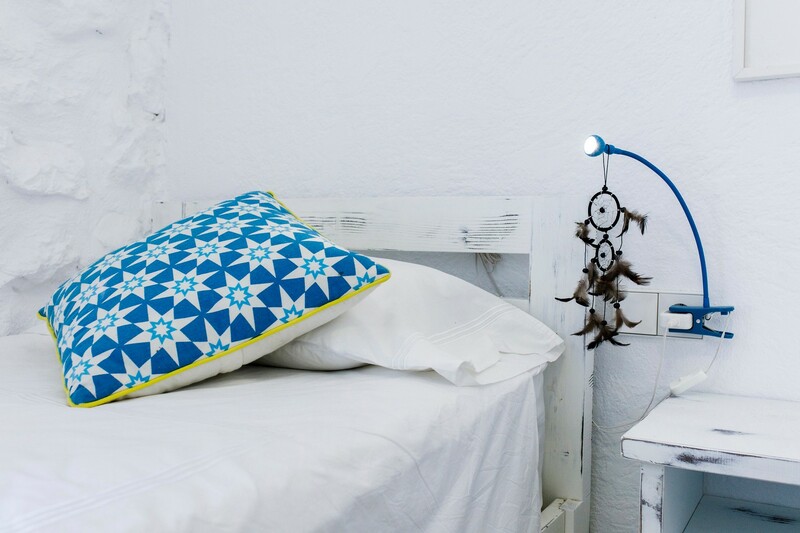 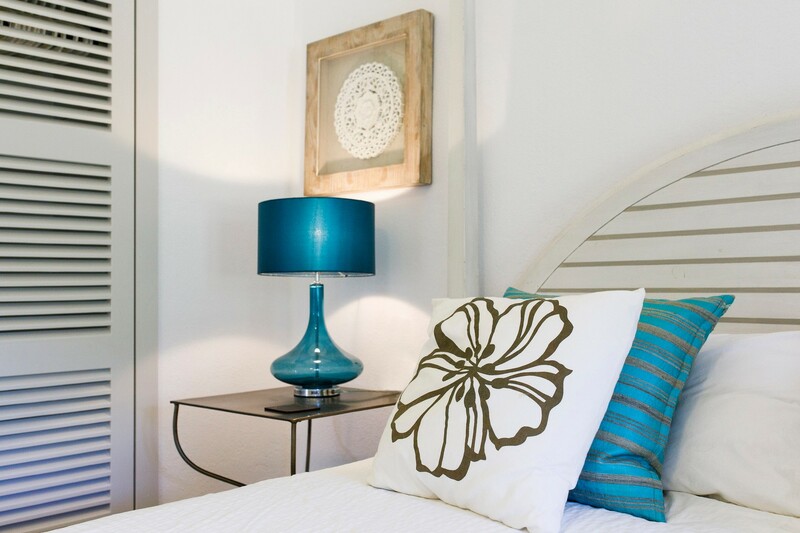 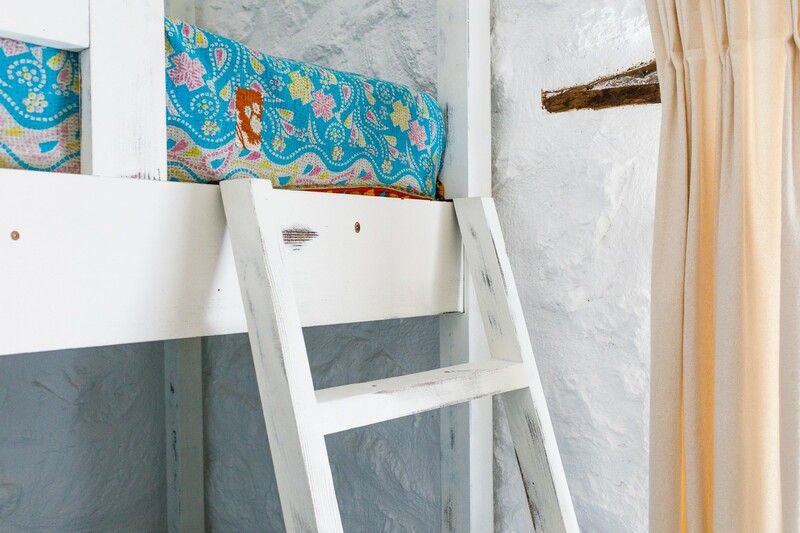 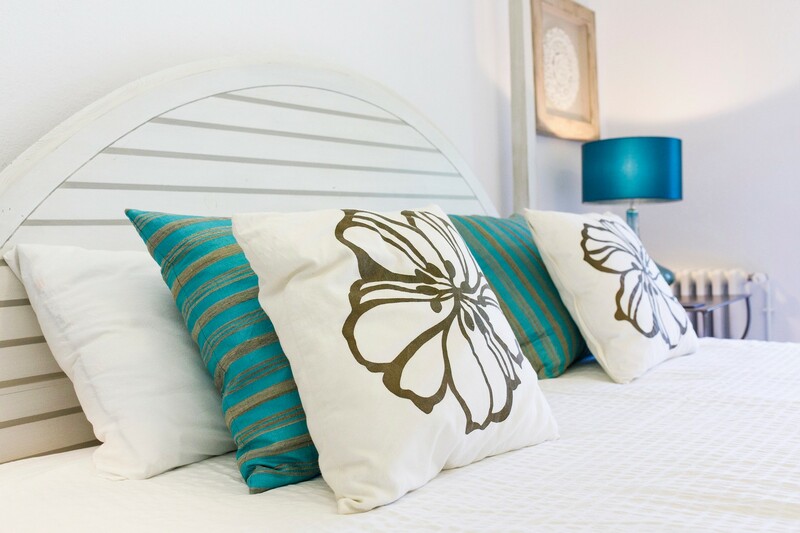 - The bunk room has full-size single beds and are ideal for kids or young adults alike. 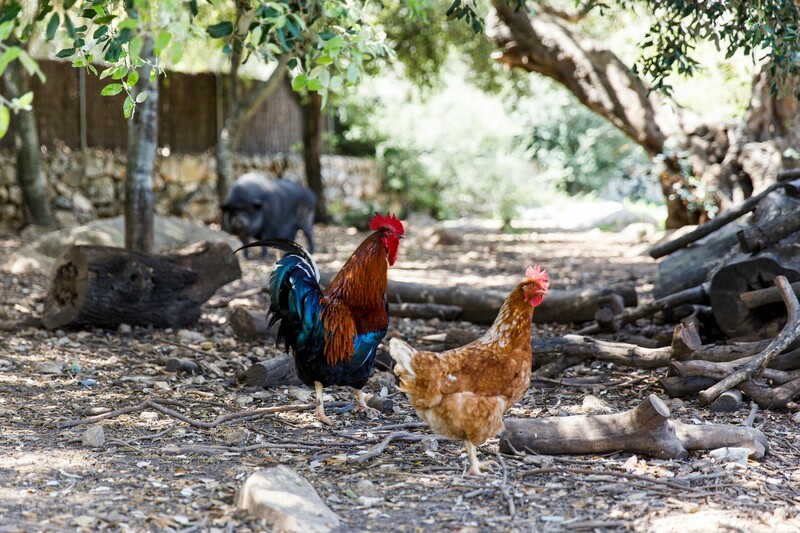 - The owners have a small farm with very healthy chickens and a couple of pigs. 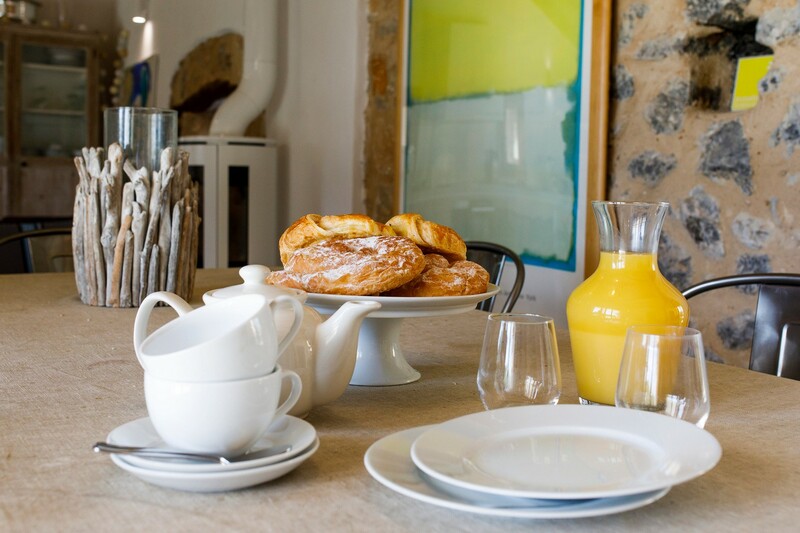 You may be lucky enough to have your fresh eggs for breakfast and have the orchard with lemon and oranges in abundance. 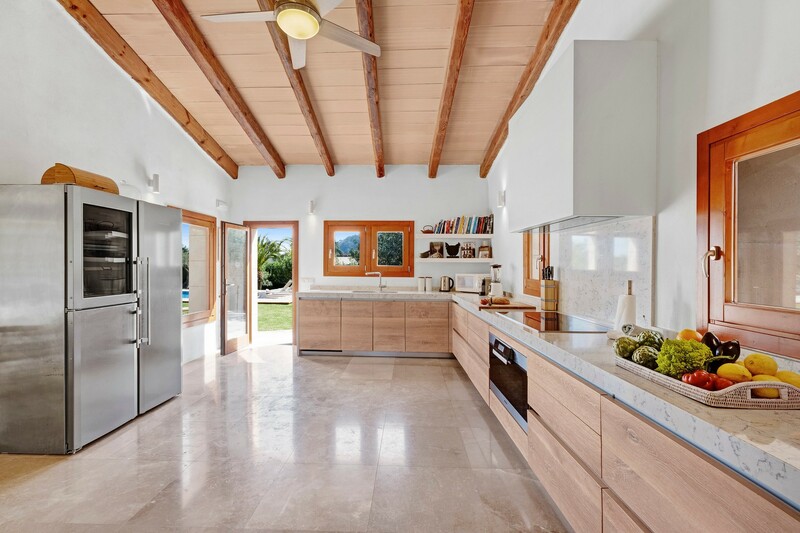 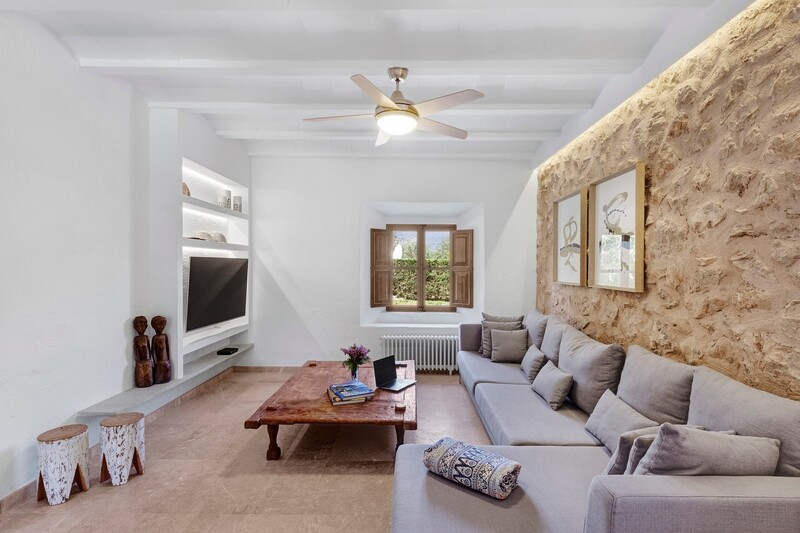 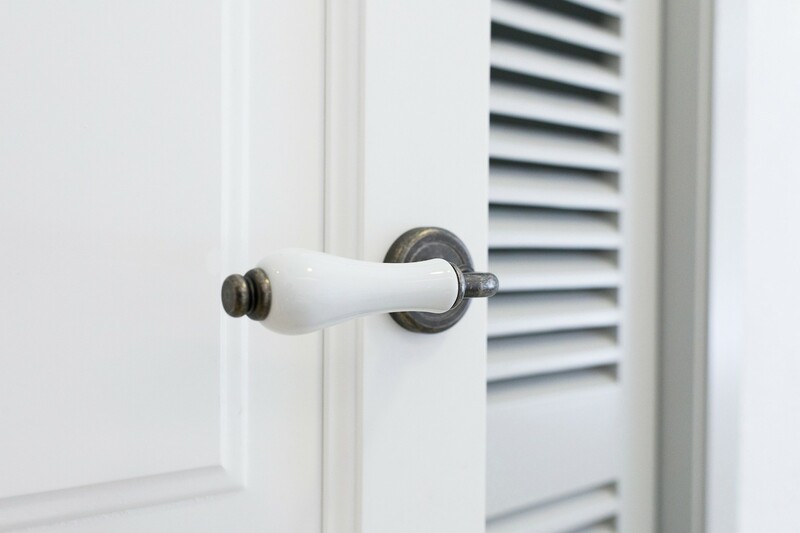 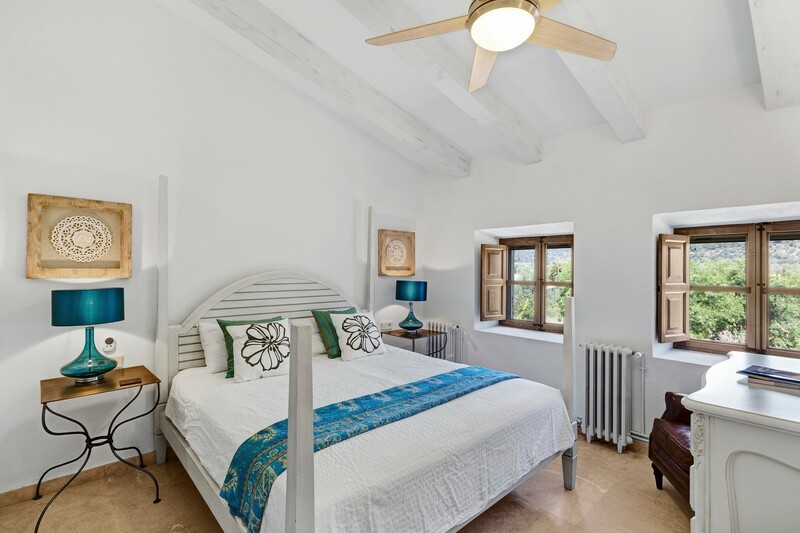 - This is an old Finca and kept people cool for over 400 years, therefore, the owners have decided not to install air conditioning- You'll receive careful instructions on how to keep the house cool and they have ceiling fans that are very effective.